We get it. Technology can be daunting. With Parata, you’re never alone. Automate the preparation of unit and multi-dose strip packaging, replacing bulky blister packs and cumbersome medication planners. Medications and over-the-counter oral solids are organized by day and time of dose in clearly labeled plastic pouches. 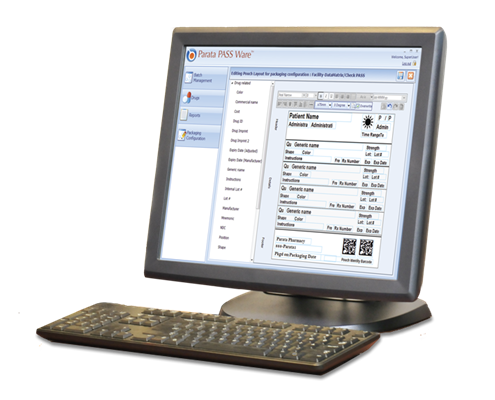 PASS integrates into the pharmacy environment and utilizes information from the pharmacy’s existing software. 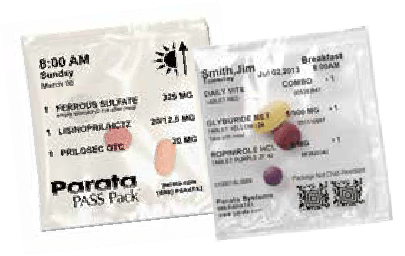 Parata PASS Ware makes it easy to prepare medications safely, efficiently, and accurately. 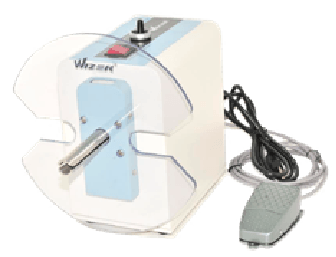 Developed in close partnership with pharmacists, PASS Ware is flexible and easy to use. It offers a wide range of reporting, a drag-and-drop editor to customize pouch design, and the ability to include header, footer, and reminder pouches. 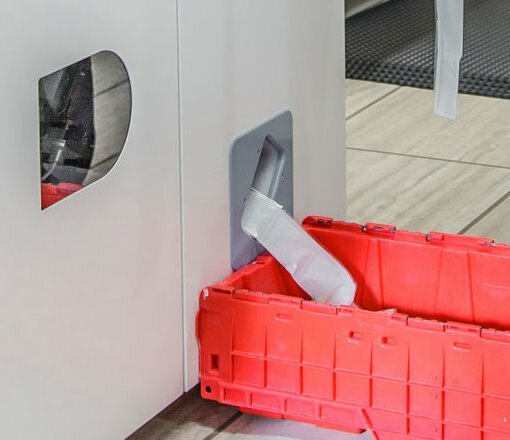 PASS Safe Loader provides a safer, easier way to manage one-off medications, over-the-counter drugs, half tabs, and slow movers. 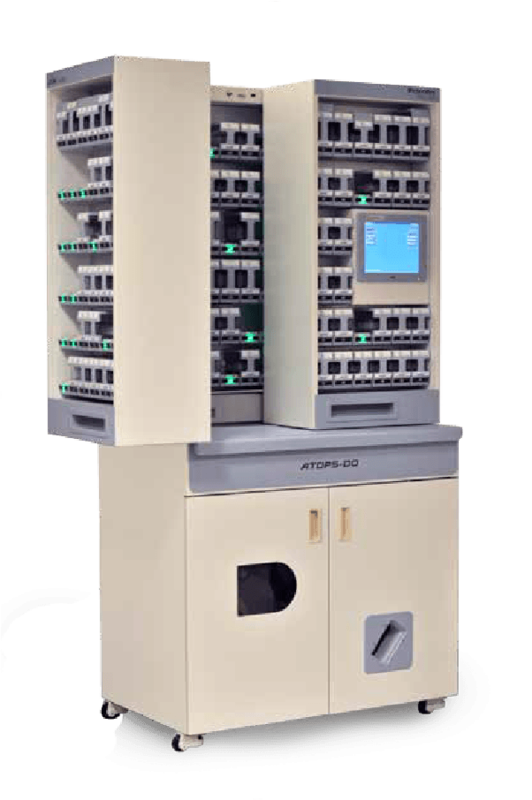 The light-to-fill tray automates the preparation of special tablet system (STS) trays. 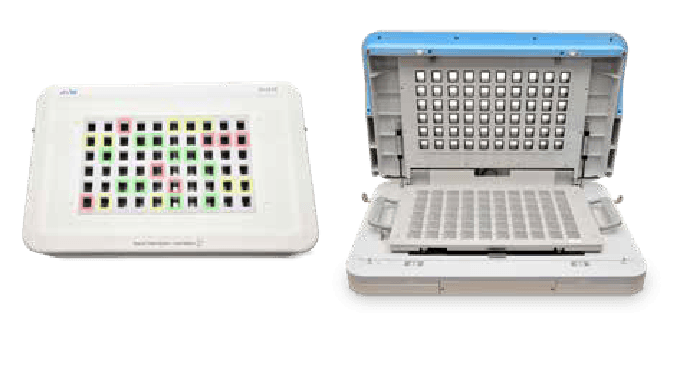 Just follow the lights to prevent potential mix-ups and streamline your workflow while promoting security and accountability. 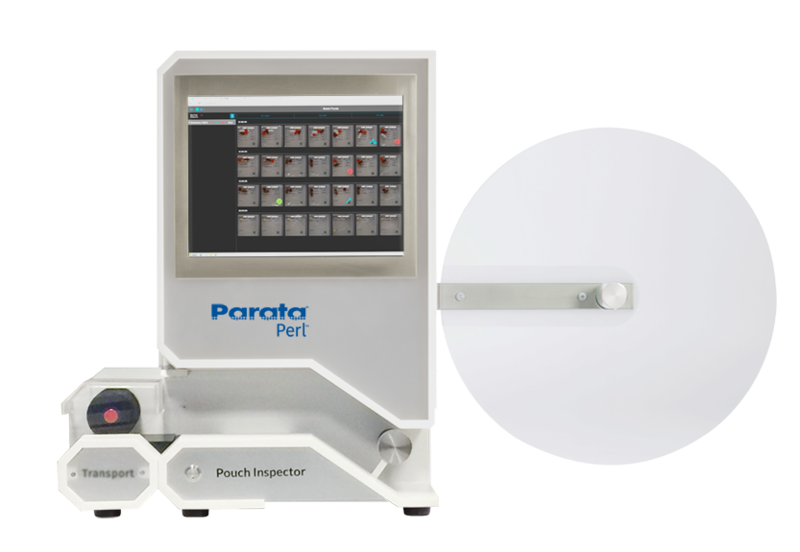 Inspecting up to 5 pouches per second, Perl is the fastest pouch inspection technology on the market today. With two powerful, high-speed cameras, Perl images and identifies the contents of each pouch. 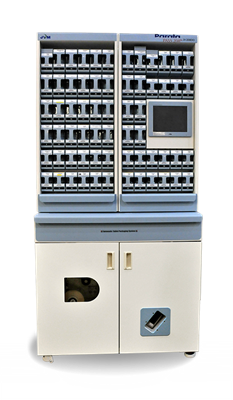 With a footprint of less than two square feet, Perl fits on any counter in your pharmacy. Quick and efficient inspection is driven by our intelligent software. 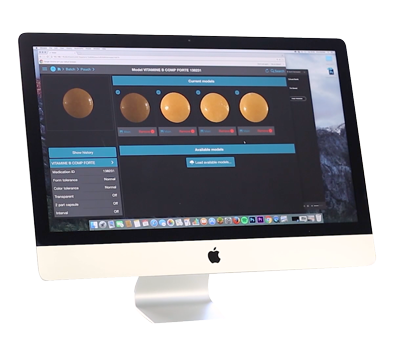 The web-based inspection application identifies existing drugs and learns new ones in only seconds. Images of each pouch are captured, inspected, and stored to ensure accuracy. You only need a web browser to access Perl — no proprietary software or extra PCs required. 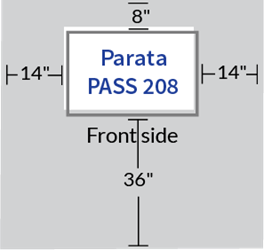 Parata’s Desktop Winder makes it easy to roll and box your strips in our 15- or 30-day packaging, and our online Marketing Toolkit will enhance your outreach and maximize the potential of your Parata PASS system. It includes marketing support, personalized consulting, and a step-by-step program for a successful launch. After receiving information from your host system, Parata PASS Ware prepares medication for packaging. 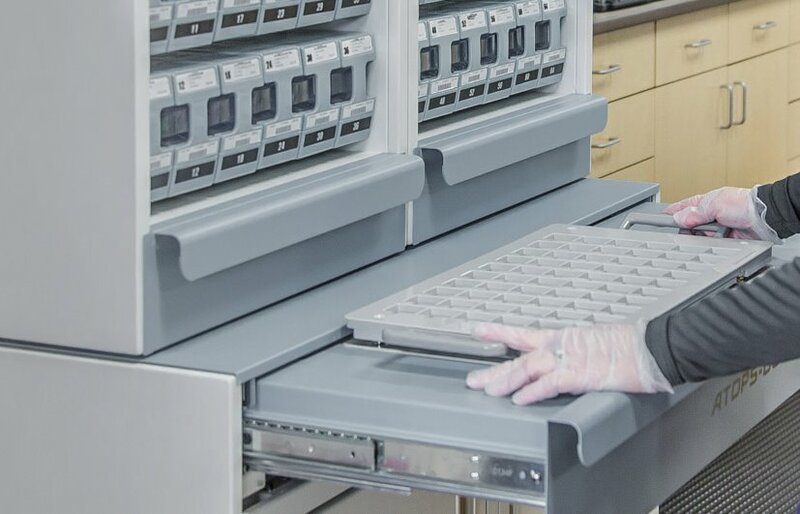 One-off medications, over-the-counter drugs, half tabs, and slow movers are prepared using STS trays. 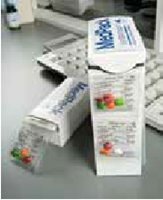 Medications are packaged in pouches by date and time of dose. Each pouch is inspected with technology you can trust. Two high-speed cameras capture images quickly and with unparalleled accuracy. Intelligent software identifies existing drugs and learns new ones in only seconds for optimal workflow. 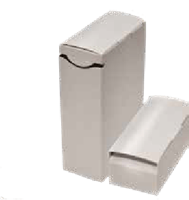 Completed pouches are wound for easy packaging and distribution. Completed strips are packaged and ready for distribution. Grow your business and expand into new markets. 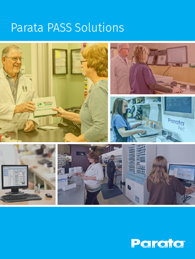 An online Marketing Toolkit features tips, tools, and ready-to-use marketing materials so you can easily build awareness of your pharmacy’s use of our PASS technology with patients, payers, and providers along with local media outlets and other channels. 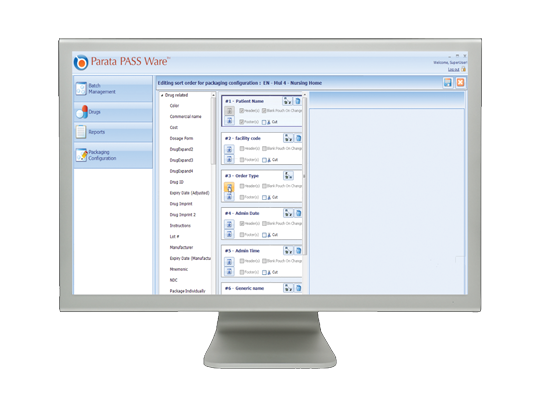 The PASS integrates into your pharmacy environment and utilizes your pharmacy’s current software. Adding PASS to your pharmacy team helps you differentiate your pharmacy with a solution that improves patient adherence and your operational efficiency. 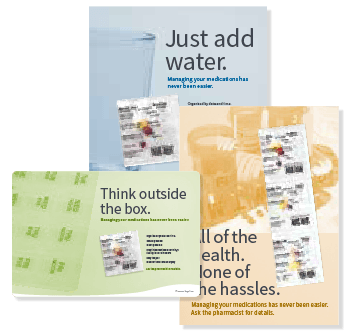 The gravity-fed system packages multi-dose or unit-dose pouches. Roll it into your pharmacy through a standard door frame. Retrieve PASS strips easily after packaging. 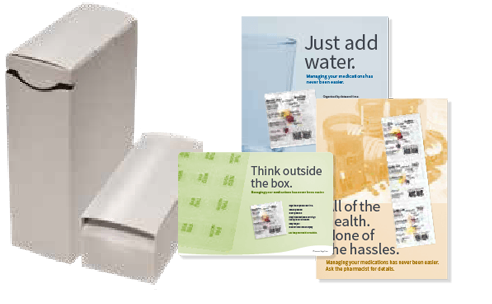 Manage one-off meds, OTCs, half tabs, and more with STS trays. 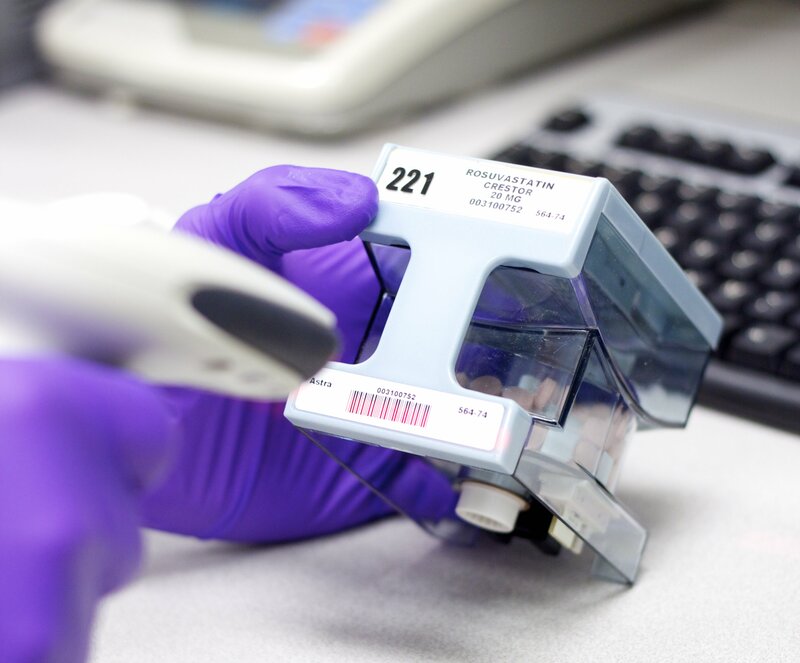 Ensure a match between the drug and smart canister with barcode scanning. Create custom pouch designs by patient or facility. 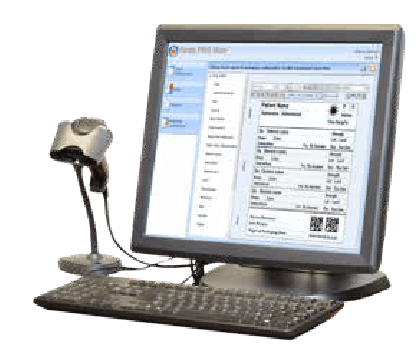 Expect flexibility and control with easy-to-use software. 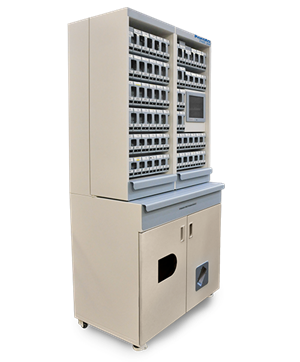 You’ll also need counter space for the PASS Ware workstation. Interested in seeing how it all comes together? Download the PDF to see in detail all of our solutions and how we can help you and your team.